The premier claims association in Louisiana . . .
LCA is a non-profit association for all professionals in the claims industry. Members include insurance agents, claims representatives, third party administrators, industrial relations managers, risk managers, administrators of self-insurance programs, defense attorneys, private investigators and all personnel involved in the handling of insurance claims. LCA hosts an educational conference and expo each year, and they sponsor local workshops for continuing education at each of the local chapter associations. 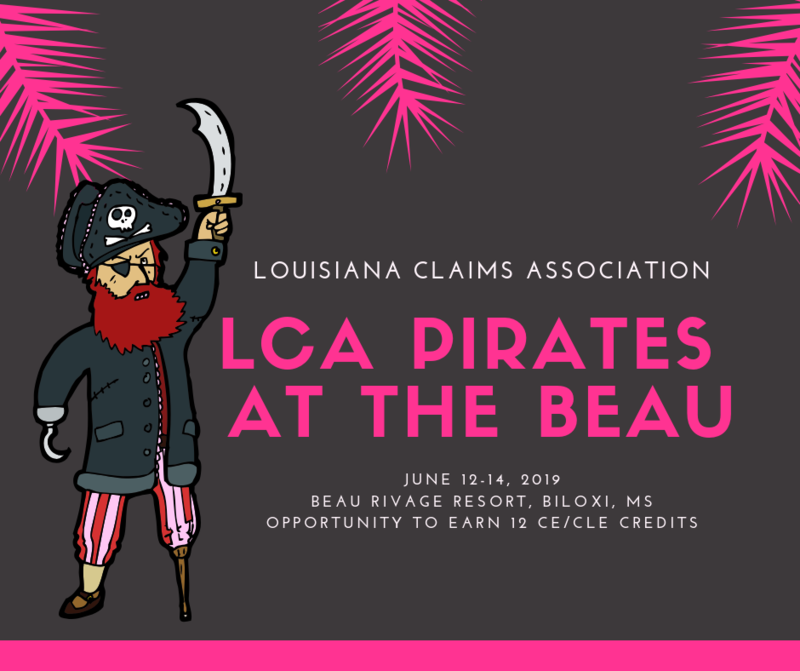 Mission Statement: As the premier claims association in Louisiana, the Louisiana Claims Association is dedicated to promoting the highest ethical and professional claims handling standards in the insurance industry through leadership in education, member/chapter coordination and support. The 2019 LCA Membership Campaign is now underway. Click here to download the 2019 Membership Application, or you can pay with a credit card.